If not living in the community, and if not family and community membership, then what? In a timely reminder about the impact of ‘institutions as solutions’ CRU has released a new book that explores and articulates the experiences of a number of families who generously and courageously told what happened when their sons, daughters, sisters and brothers left the family to live in Challinor institution. 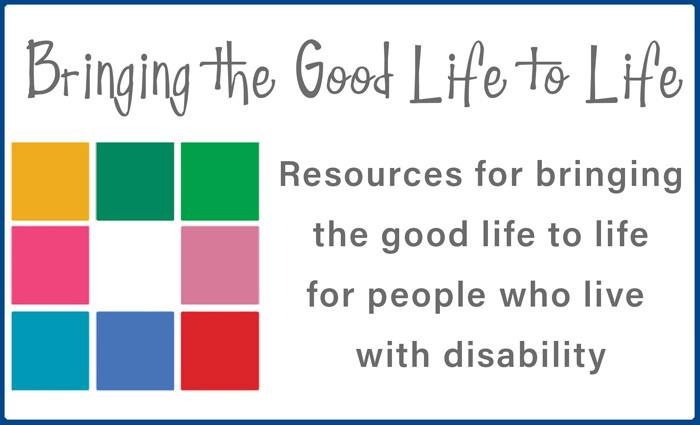 While the struggle for community membership is a long and hard journey, the starting point for people with disability is that their families need to be supported to thrive and are assisted by well-timed, practical support. If policy makers, professionals, service organisations and the general community fail to provide such assistance to families the outcome is likely to be severed love and lives”. The puzzle: what is vital community? Sharyn Rowen was invited to describe a vital community and she depicts it as a jigsaw puzzle, needing all its parts in order to become a complete picture. Sharyn lives in the Stanthorpe community. Lorraine Zeni was asked why communities need people with disabilities. What follows is deeply thoughtful and thought-provoking. Lorraine lives in Brisbane with her family and is well known to the South Australian community, where she lived until recently. Karin & David Swift are a young married couple who, in writing this article, have reflected on their lifetime of experience of living with disability. They both work in the sector in various roles and offer some insights into how people can be supported to make connections with each other.